It wasn’t that long ago that the tablet computer was the stuff of science fiction. And it wasn’t that long after tablets were introduced that they became (for a while anyway) overhyped cool toys. Nowadays, however, tablets are widely employed in business for a variety of communications and productivity uses. Tablets can’t do everything, of course, but adoption by mobile business users has been staggering, particularly as more companies have BYOD policies and as tablets continue to improve. Forrester says that by 2017, worldwide sales of tablets will reach 381 million units and businesses will account for nearly one in five tablet purchases. 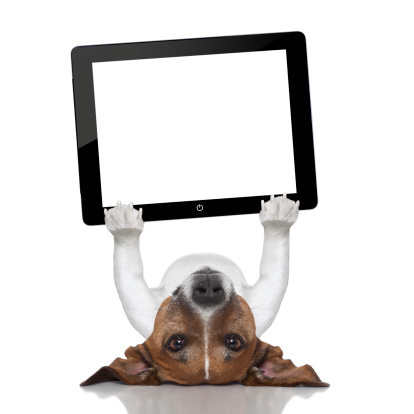 From financial services to veterinary services, tablets have a place in the enterprise. It’s not necessarily tech workers who are embracing tablets the most enthusiastically. Executives are nuts about them. One thing execs love about tablets is their portability. Even end-user preferences and ease of use are not as important as the fact that tablets are easy to carry around. Also, because of cloud storage technology, handing off work among a number of devices means that a particular piece of work is no longer chained to a specific device, and this aids productivity. Plus, they start up quickly, they’re easy to use, and you can get plenty of focused (rather than full-featured) apps for them. A 2012 survey by consulting services firm Avanade studied tablet use in businesses, specifically among C-level executives. The survey found that one-third of executives used tablets for business functions like CRM, content creation, data analysis, and project management. And an astounding 71% of respondents stated that their company had changed at least one business process to accommodate use of tablets and other mobile devices. One-fifth of respondents said their companies had changed four or more business processes due to tablets and other mobile devices. If your company uses tablets, you need a plan for risk mitigation and should know what types of data end-users access with their tablets. For many companies, this means revisiting their BYOD policy (which should be done periodically anyway). The focus should be on improving tablet security as well as end-user access. 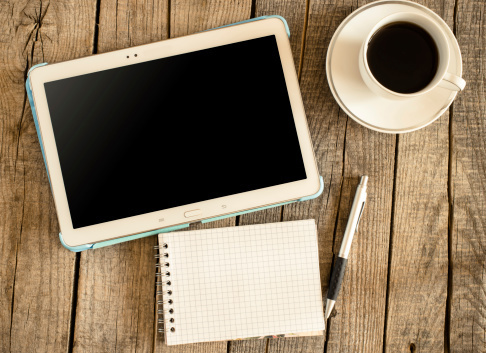 Don’t let lack of a strategy turn your company’s tablets into expensive coasters. Your tablet strategy should also include an app strategy. Whether you create an enterprise app store stocked with approved tablet apps or require end-users to gain approval before installing any apps for business, you need to understand which apps end-users are utilizing so you can understand risks and address them. Of course, it isn’t IT’s job to make sure that tablet use doesn’t run afoul of employment laws. But IT can raise awareness that tablets and other employee-owned devices can create havoc when it comes to adhering to employment laws – particularly with wage and hour claims brought under the Fair Labor Standards Act. When employees are able to remotely access the workplace through mobile devices 24/7, they may be tacitly expected to perform work (including tasks like checking emails) when they’re off the clock. Companies have faced wage and hour claims from employees with mobile devices who were expected to take care of work functions while they weren’t on duty. Tablets have rapidly become more than just show-off toys for early adopters. They’re proving to be useful for work productivity, and companies are adopting tablet use at astonishing speed. IT departments should be involved in a company’s tablet strategy from the very beginning. While tablets can be extremely useful in business, they’re also extremely portable, and subject to risk, from being hacked to being left in taxis. A great tablet strategy requires a carefully choreographed dance between the tech people and the executives, but it’s necessary so that companies can continue to enjoy the many benefits tablets bring without exposing the company to security or legal risks.